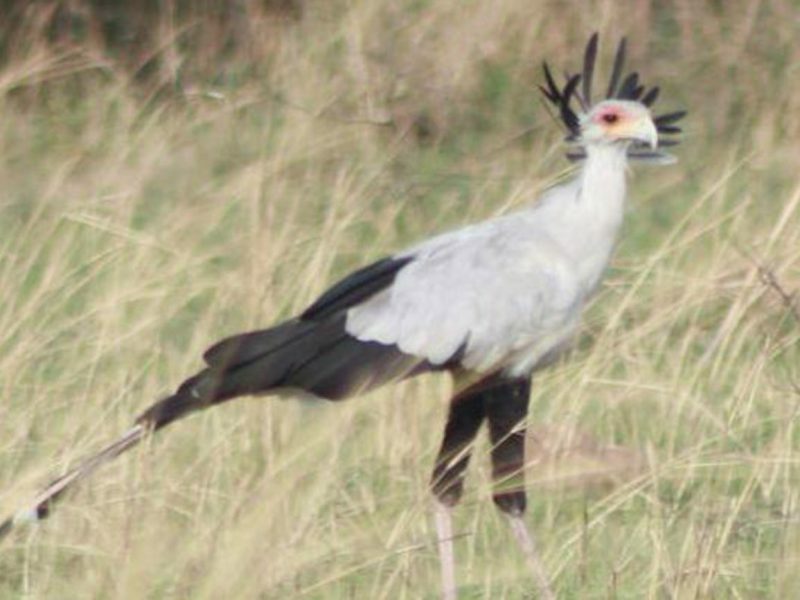 A short bird watching safari to some of Uganda’s birding hotspots, including Murchison Falls and other forest, savannah and wetland habitats,. This short bird watching break provides the perfect long weekend for birders wanting to escape the city or for business travellers or tourists wanting to add a few days on to their planned itinerary. It takes you to Uganda’s largest national park and provides opportunities to explore forest, open woodland, savannah, open water and wetland areas. 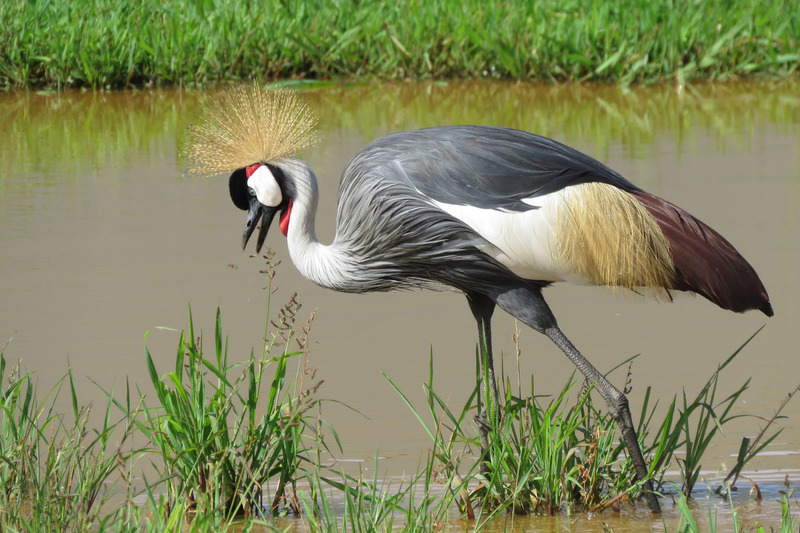 You will even have the chance to spot birds as you cruise along the River Nile. Expert local guides will help you to identify some of the hundreds of species to be found here and there is plenty of time for photography too. You can’t miss some of Uganda’s big game along the way including elephant, giraffe, lion and buffalo to name but a few. Day 4: Birding in the Kaniyo Pabidi section of Budongo forest. Return to Kampala. 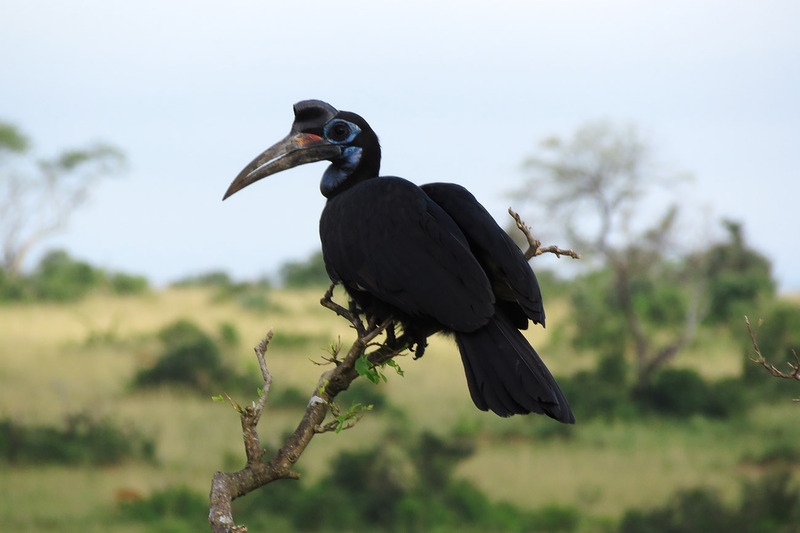 When is the best time of year to visit Uganda? There are fewer tourists in low seasons so you can have the place to yourselves! 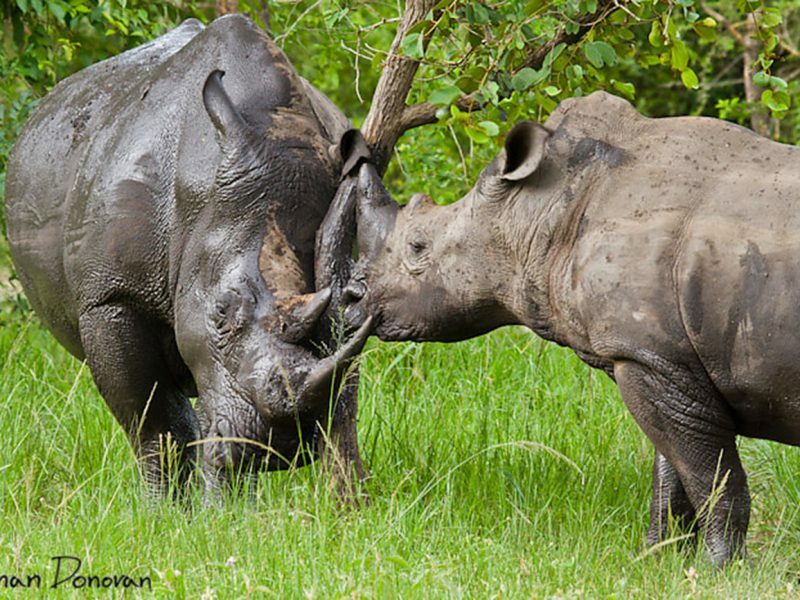 Leaving Kampala behind, you travel north to Ziwa where the Rhino Fund has successfully reintroduced the southern white rhino into Uganda at its 70 kms² sanctuary. 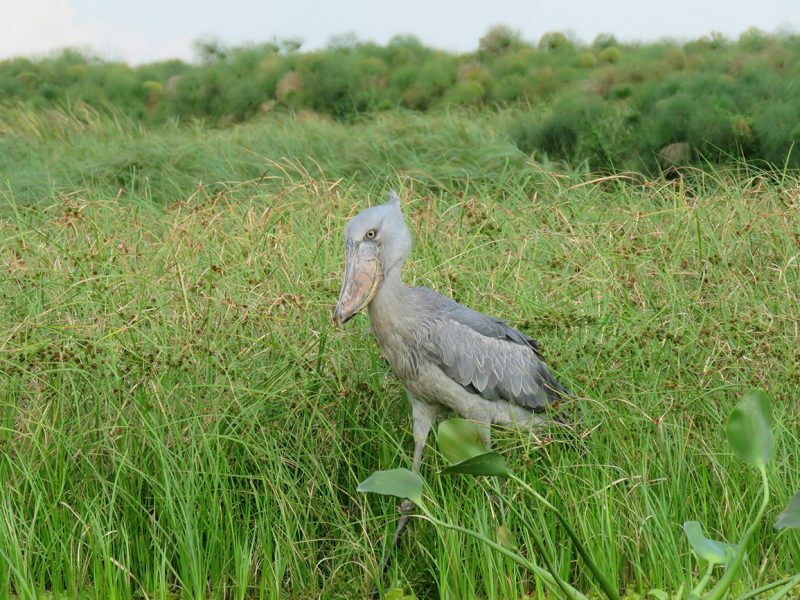 You will track the rhinos with an experienced guide and enjoy great birdwatching; the famous Shoebill can be spotted here. 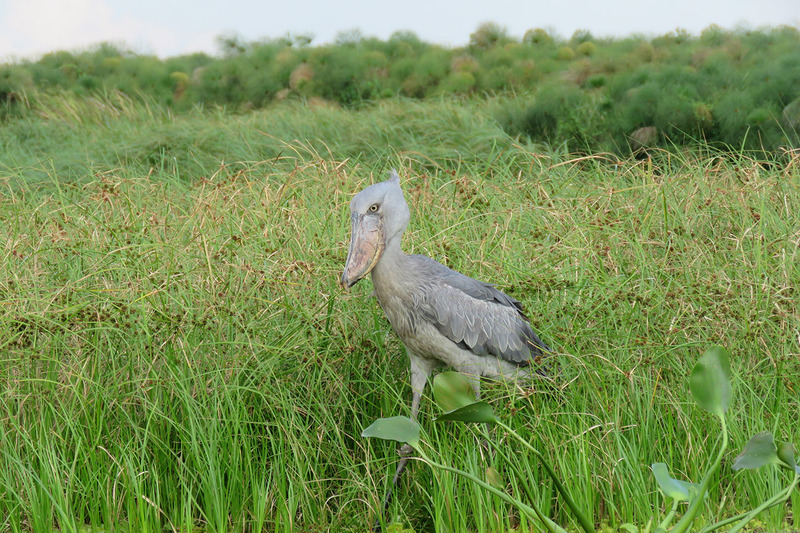 06:00 You’ll make an early start to search for the Shoebill – one of Africa’s favourite bird species. Travelling by local canoe, you will explore the Lugogo swamp area for around 3 to 4 hours. 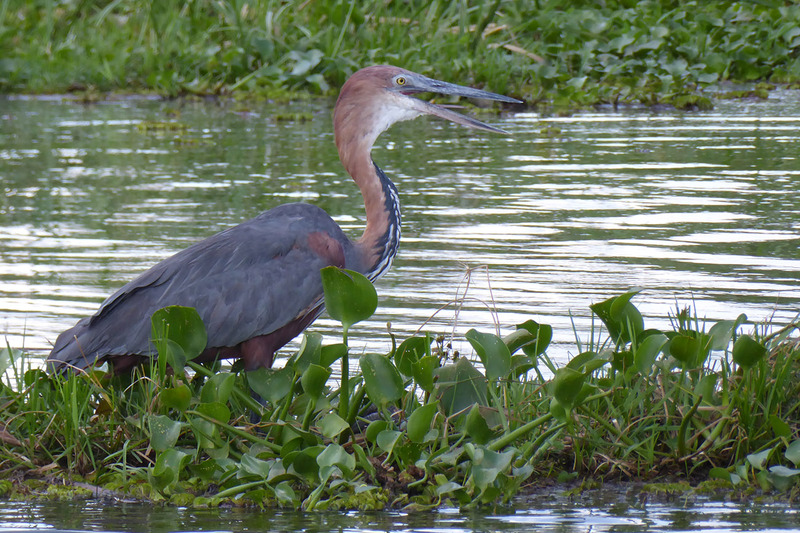 Other bird species you may meet while on this canoe ride include the African Jacana, Black Crake, Pied Kingfisher, Malachite Kingfisher, Giant Kingfisher, African open-billed stork, Great egret, Egyptian goose, African fish eagle and Goliath Heron. On your return, you will transfer to Murchison Falls National Park. 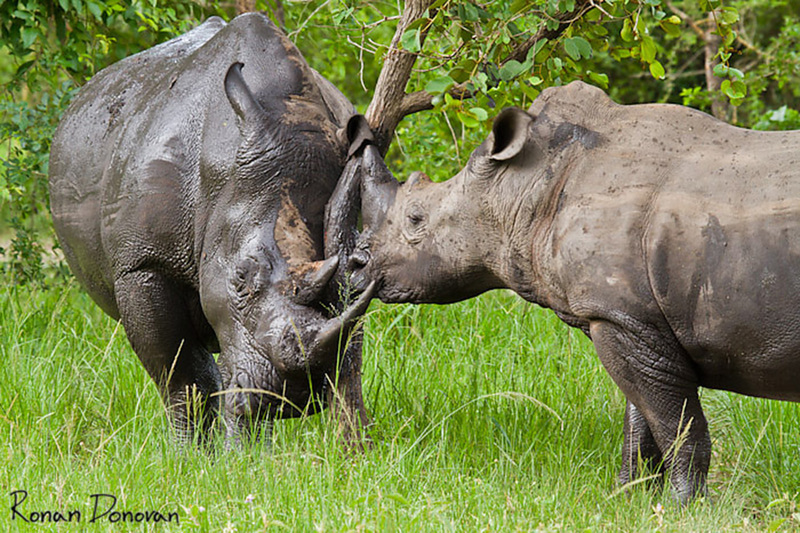 After settling in to your lodge, enjoy an afternoon game drive. 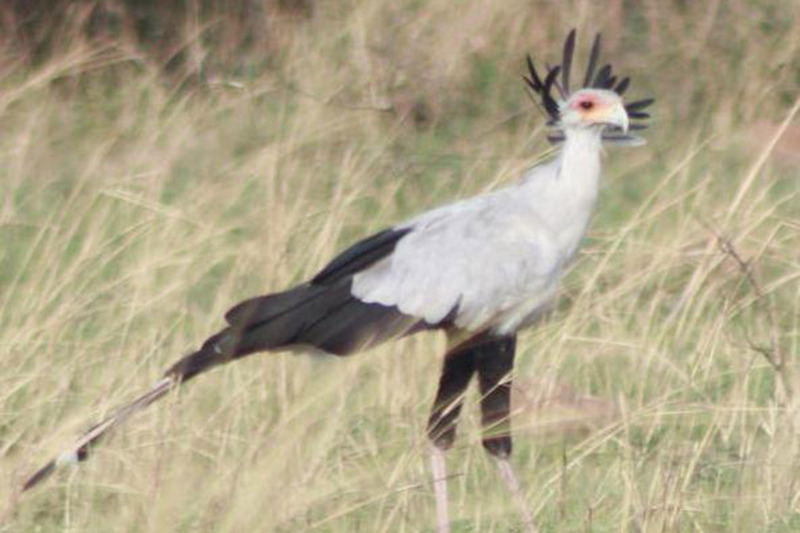 Enjoy spectacular bird watching in the savannah plains during a game drive around the delta region. 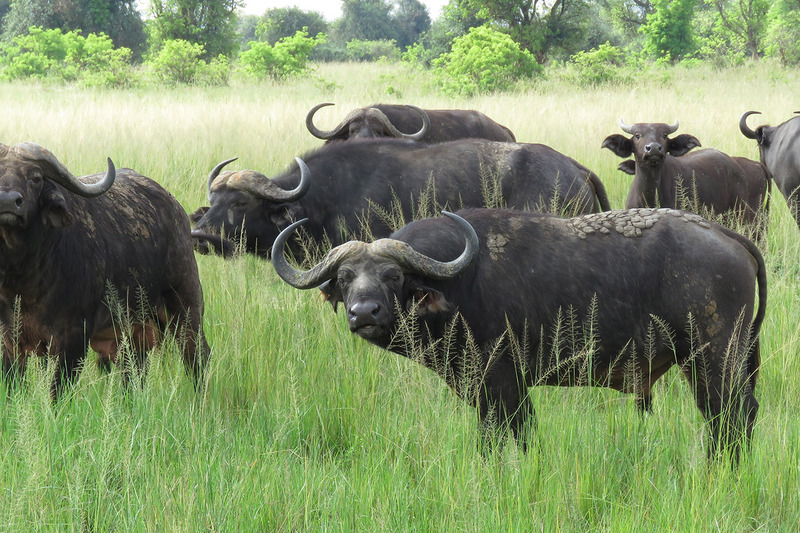 Spot herds of buffalo, elephant and other animals such as waterbuck, warthog, hyena, Uganda Kob. In the open savannah, keep an eye out for lions. 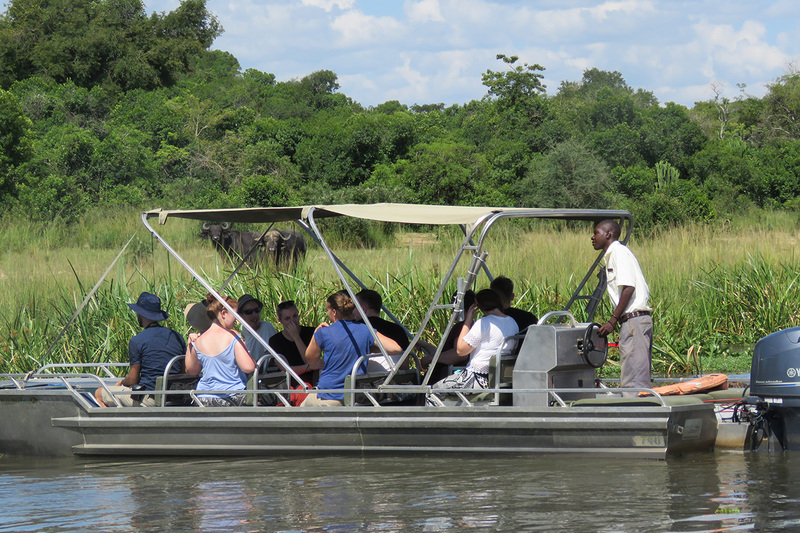 Take a fabulous afternoon boat cruise upstream along the Nile to the powerful Murchison Falls. 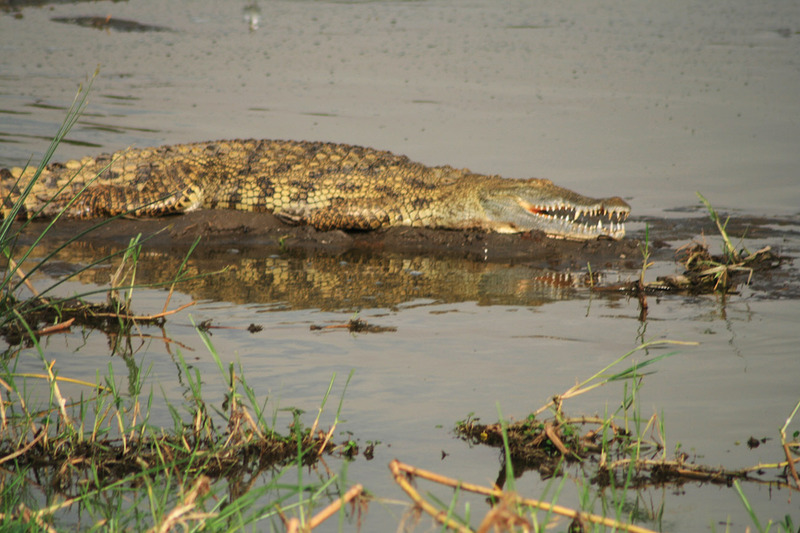 Crocodiles and hippos are often seen along the river banks, along with birdlife and other animals quenching their thirst. A gentle 45 minute hike with your guide to the top offers wonderful views over the Falls and the entire park. 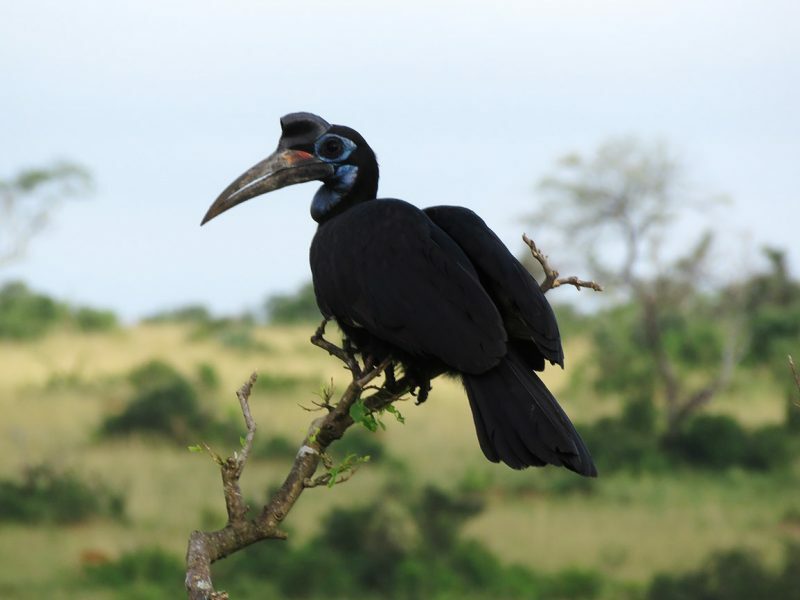 Leave the lodge early for a birding drive through the Kaniyo Pabidi section of Budongo forest. This is a newly discovered location for spotting the Puvell’s Illadopsis, and a prime spot for the Black-billed Turacco, Narina Trogon, Blue-throated Roller and Fire-crested Alethe. Continue to Masindi for lunch before your return journey to Kampala. We can provide additional accommodation at the beginning and end of your holiday, depending on your requirements. The price for every safari depends on the number of people travelling, their ages, the time of year, whether or not international flights are included, the type of transport and accommodation used and the activities undertaken. We calculate according to the specific dates of your booking because after we publish our itineraries some things may change. For example, hotels may increase their prices, exchange rates fluctuate, the government may introduce new taxes or some discounts may become available. Unfortunately, we also have to pass on surcharges imposed on us by, for example, airlines when fuel prices or airport taxes are unexpectedly increased. We would be happy to prepare a quotation, based on your requirements. We normally include most costs in the price so all you need to bring with you is ‘pocket money’ for items like drinks, tips and personal shopping e.g. souvenirs. Tips (normally 5–10% and around $10 per day for your guide). 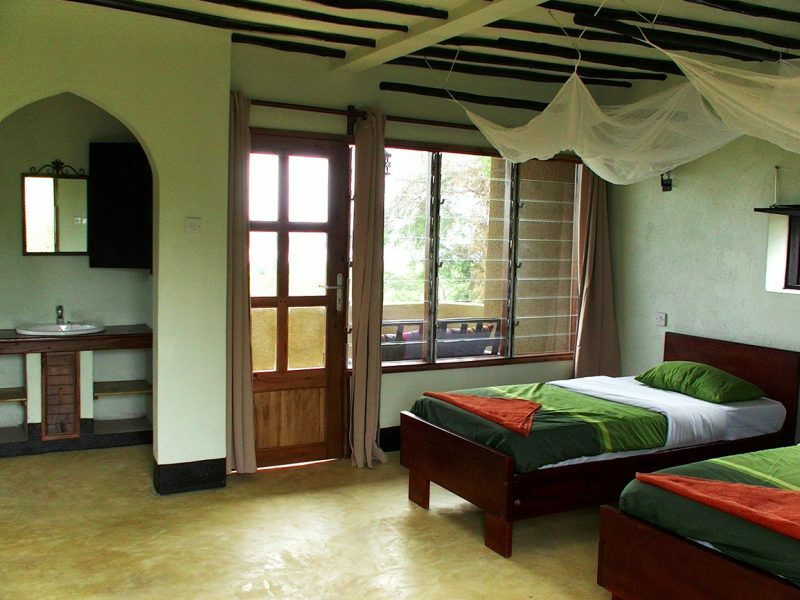 Note: if you want to track gorillas, we recommend that you book your holiday as early as possible (6+ months) when permits are more readily available, so you can book and pay at leisure. Last minute permits can sometimes be found, especially if you are flexible with dates, but there will always be a rush to pay and secure them. If you would like to book or adapt one of our safaris or tours or if you would like a tailor-made itinerary, please send us an enquiry form telling us about your requirements. When we receive this we will check the availability of your preferred gorilla tracking permits (for a certain date and forest sector) and your accommodation. If changes are necessary, we will inform you and suggest alternatives. Unfortunately, there is no system in Uganda for reserving permits, they can only be secured with payment and, once bought, they are non-refundable and non-transferable. Once your itinerary is agreed, we will send you a booking form and an invoice for the full costs of any international flights and tracking permits and a 20% deposit on the rest of your holiday. Kindly send us a remittance note so that we know your payment is on the way and, once it is received, we can secure your preferred permits and confirm your booking. If we are very unlucky and permits sold-out in the meantime, we will call you to suggest an alternative forest sector or date. Booking early should help to avoid this. Full payment is required 60 days before travel. We charge in US dollars. Payment is by bank transfer into our Standard Chartered USD bank account in Uganda. 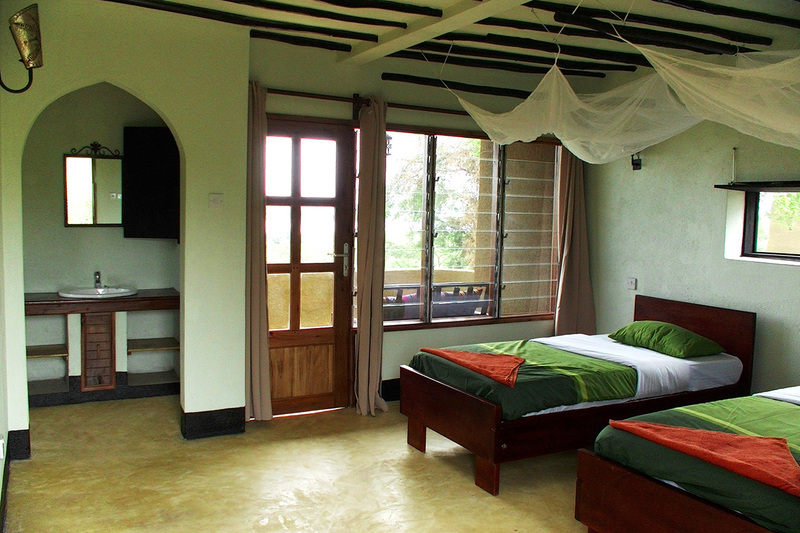 For bookings from within Uganda, cash can be deposited on our bank account. Payment instructions are given on our invoices. We are subject to our suppliers’ cancellation policies. Payments already made to them cannot be refunded to you at any stage. If one or more group members cancels, the price for remaining members may increase. Cancellations must be made in writing and acknowledged by Venture Uganda Travel. Charges will be applied based on the date of our written acknowledgement. We strongly recommend that you include cancellation cover in your travel insurance. 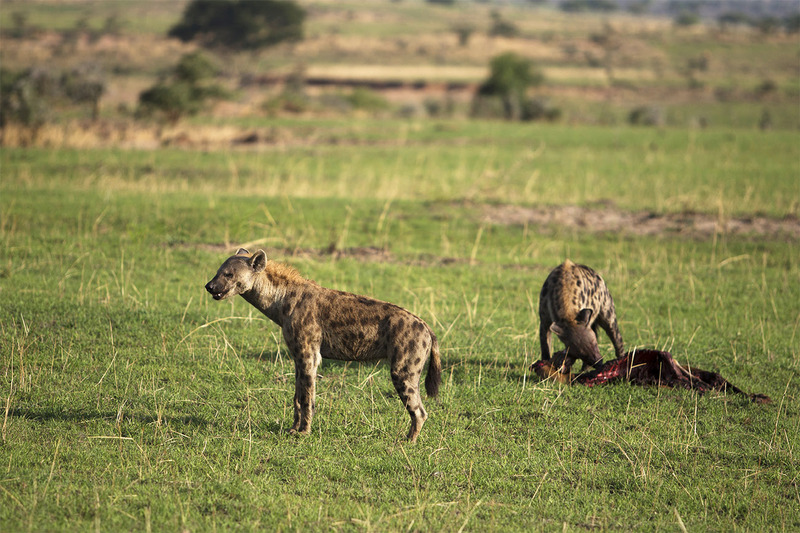 AMREF flying doctors provide a medevac service in case of illness or injury during your safari. This costs $25pp for 31 days. We recommend this service and can include it in your package price. Please see our Travel Information page for information on flights, visas, currency, packing lists, books and field guides, health and safety, emergency contacts and much more general information. 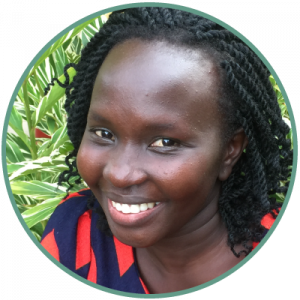 If there is anything you cannot find just ask us (sales01@ventureuganda.org). See our Responsible Tourism pages for information about our approach to tourism and advice on how to travel responsibly. For general advice please see our travel information webpage.